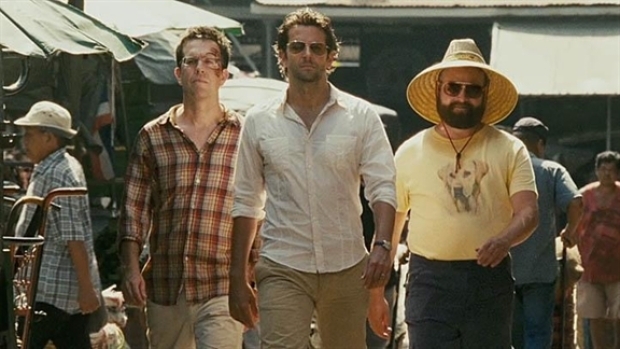 Wolf Pack Allegedly Busting Alan Out of Looney Bin in "Hangover III"
As much as you may have hated it, you've known in your heart that there's a third "Hangover" on the way. It should at least please you to hear it won't involve another wedding. Zach Galifianakis this week finds himself on the cover of a Rolling Stone, giving a lengthy interview in which he talks about all manner of things, including the inevitable "Hangover III." "I'm getting fricking phone calls already," Galifianakis told the mag, adding that from what he's heard, the third film will feature the wolf pack coming together to help break Alan out of a mental institution. While "Hangover II" is poised to cross the $200-million mark, and fans have given a 94% on Rotten Tomatoes, critics have largely dismissed it as recycled garbage. We didn't think it measured up the original, but it was a lot funnier than most of what passes for comedy at the multiplex, and for that we were grateful.